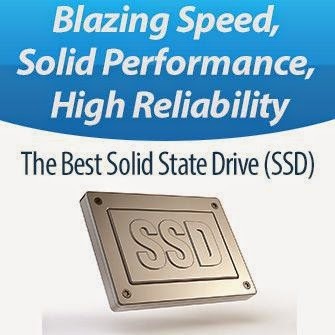 Enjoy The Power Of SSD With Windows XP – Is It Possible? Who of us does not love Windows XP? It has been over than ten years since it was released and still so many people do not want to upgrade to a higher version of Windows (Vista, 7 or 8). As Windows XP means a lot to many computer users, it means to them simplicity away from complexity in all means, which provides everything a basic-to-mediocre computer user needs, with a beautiful and user-friendly interface. If you are one of Windows XP users who are content with this operating system and do not wish to upgrade to a higher version, and, at the same time, want to replace your old hard drive with a solid state drive (SSD) to enjoy its super speed and high performance, you may wonder if Windows XP is well compatible with SSD or not. The fact that must be revealed in this regard is that Windows XP lacks the support for a very important feature which significantly help maintain the performance of SSD. It is the so-called TRIM Support. That means you will observe a noticeably degradation in performance after a specific amount of usage. Well, Intel corporation has the answer with its 330, 335, and 500 Series drives. With Acronis AlignTool — Intel® SSD Edition and Intel SSD ToolBox. To read more about this utility, download its white paper from HERE.